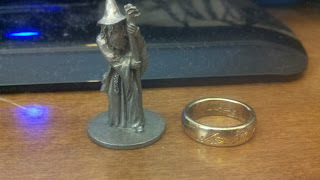 Victor Gischler's Blogpocalypse: One ring to rule them all ... and also capitalism! 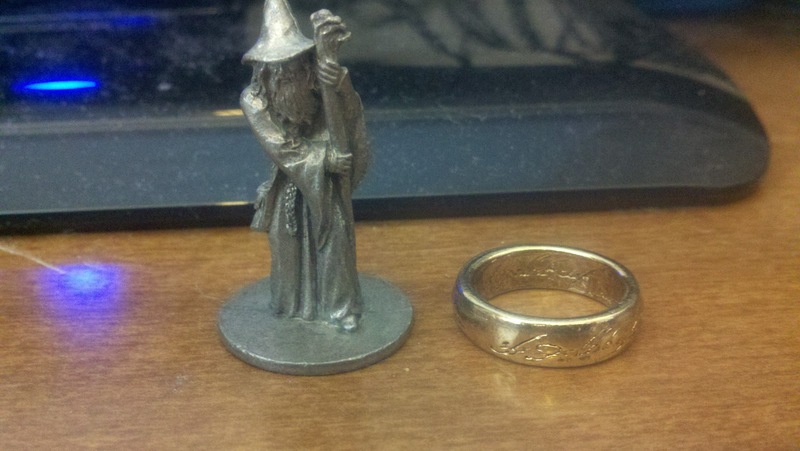 One ring to rule them all ... and also capitalism! Played the Lord of the Rings edition of Monopoly with my 9 year old son last night. Good fun and good math practice for him. I made him be the banker. Cool. Didn't know they had a Lord of the Rings version. I have the "Surf-opoly" version, and the Mrs. is ALWAYS the banker. Yeah...that sort of sh*t speaks volumes, no? Always found Monopoly very immoral: learning math and how to screw other people isn't exactly what I'd like to teach to anyone. It teaches math and generosity, because if the opponent ends up with no seeds in his half of the board, you must give him seeds (feed him). All this while being a competitive game and a great practice for counting.